Here’s another sneak peak at my new book A Dog’s Life. 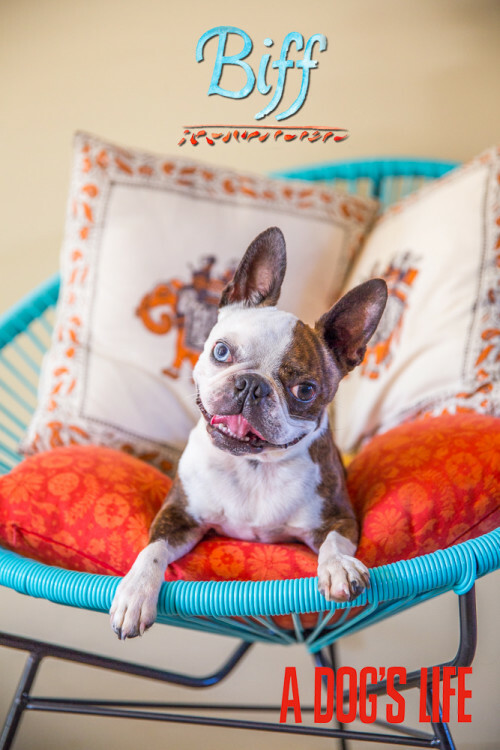 Biff is a beautiful 5 year old Boston Terrier with different coloured eyes. He knew how just how to get his best angle on film during his photoshoot; with the perfect head tilt! With only a week till release day, it’s not long until you can read Biff’s story. Why not head over to the FURtography shop and pre-order your copy of the book. I’m donating $1 from all my pre-orders to K9 Rescue and Rehoming. Next week on the blog, I’ll be adding a full length clip, with lots of images and behind the scenes footage of the dogs so check back soon.